Glycerol is recovered as the coproduct of ethanol and butanol; the amount produced from these sources has historically been relatively small but has increased significantly due to the increasing need of ethanol. 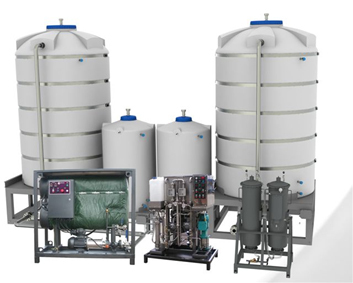 The recovery of glycerol is by use of settling(sedimentation) tanks. 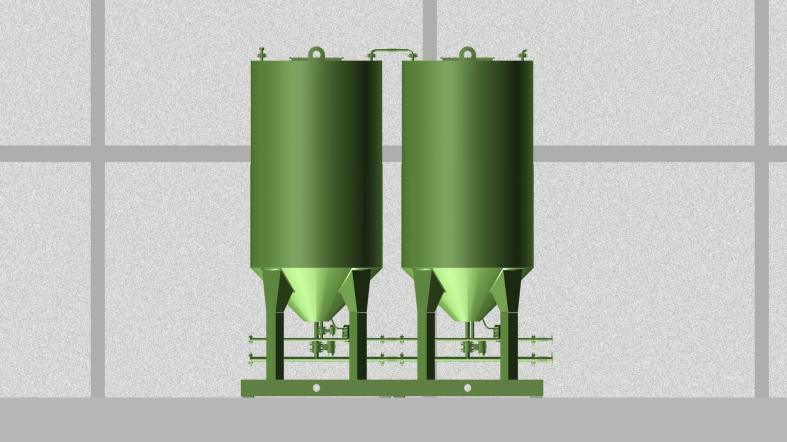 A settling tank is piece of separation equipment used in the fermentation process. When the product first comes out of the reactor, it's hot and fully stirred up. The first thing necessary is to allow the product to settle. This is a large tank for holding water, often with a special solid material removal system at the bottom. Some tanks are tall and fat, while others are long and very shallow. 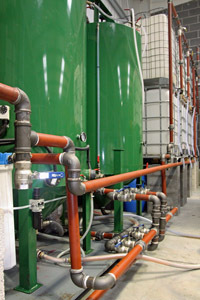 Tall and fat tanks are generally used as an early stage part of water treatment and are as much for storage as treatment. These tanks have enough room for the water to sit for a long period, allowing large debris like rocks or sticks to settle out. Since they store the water as well as treat it, they need to be very large. The other type of sedimentation tank is long and shallow. This tank design is typically inside a water purification system. Since the tank is so shallow, it takes less time for suspended particles to fall to the bottom. These tanks are typically used for the coagulation step in water treatment.